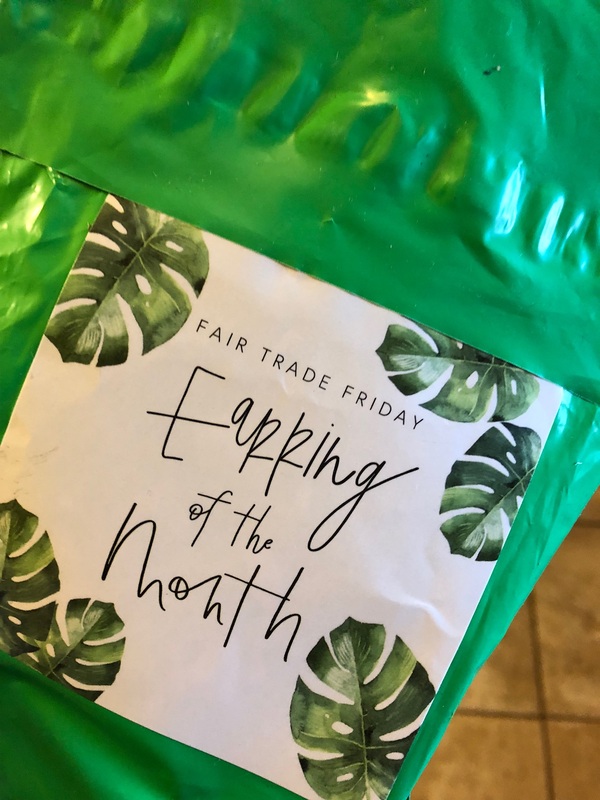 It is always so exciting to find one of these green packages in the mailbox! I’ve been a part of the Earring of the Month club for about 2 years now. As much as I love them, what I get really excited about is learning about the women who made the earrings. 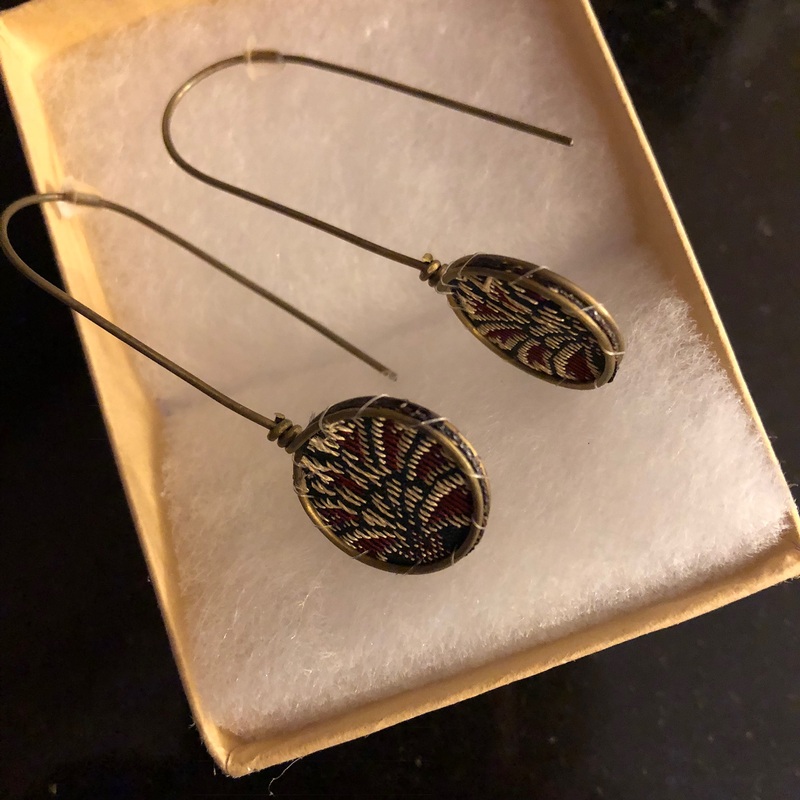 Here is a photo of the beautiful, unique earrings that arrived this earlier this week. My earrings had a little card telling me that they were made by Shanta, a woman who lives in Bangladesh. She is a part of the Basha project. Below you can read a little about these women and the products that they make. That is one thing I love about receiving these earrings every month. I certainly don’t need a new pair every month, and some of these beautiful pieces are not my style. But if a pair isn’t the best fit for me, I gift them to other women who will love them. 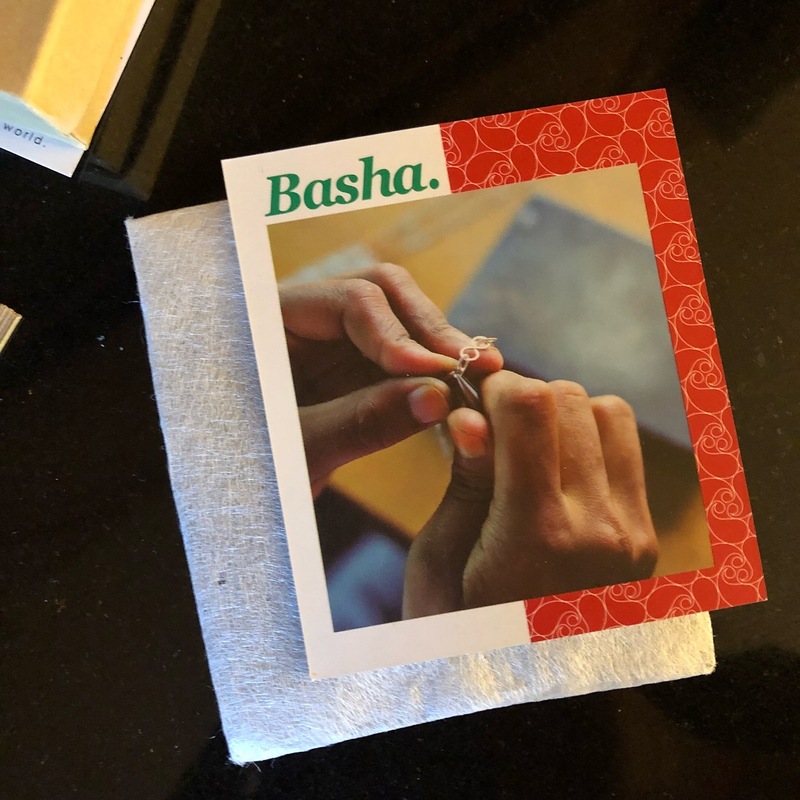 I love gifting the earrings and passing along the information on the women who make them. It is like linking arms with the women in my life and the women across the world to bring dignity and beauty to all. If you are interested in linking arms with us by joining the earring of the month club, just click here.